like poets, rush “into the middest,” in medias res, when they are born; they also die in mediis rebus, and to make sense of their span they need fictive concords with origins and ends, such as give meaning to lives and poems. Apocalypse [he continues, distilling his analysis from the pulp rataplan of The Book of Revelations] depends on a concord of imaginatively recorded past and imaginatively predicted future, achieved on behalf of us, who remain “in the middest”. Its predictions, though figurative, can be taken literally, and as the future moves in on us we may expect it to conform with the figures. Many difficulties arise from this expectation. What I find perhaps most riveting in the semantic plenitude of this argument is how exactly—writing forty-five years ago—Kermode captured a very contemporary sense that apocalyptic Endings, for us in the Middest, “can be taken literally … as the future moves in on us.” Except for readers and students of fantastika since 1818, it is after all something new in the critical study of the literatures of the West to suggest that Endings may be literal, or that what we may call (after Kermode) the Middest takes any meaning from the end of the world. Even after World War One, prophecies—which in Kermode's triadic frame is to say grammars—of disaster were pretty well relegated to the authors of Scientific Romance, most of whose careers failed. Now, at the very end of 2018, at a time when our lives in the straitened Middest we now inhabit turn in lockstep with the racking of the planet, we may be granted an increased impatience with nonfantastic literary fiction, all that desiccated sardoodledom demurely gorging on all that groomed intersanguinary frankincense of being, that longue durée we once thought it was our privilege to bathe in. The Middest most of us enter each morning seems a decal on the wall of End, until we awaken fully, when we know it is. The most terrifying word in the English language is still, which if inserted into any passage descriptive of the world means not ended yet. The nonfantastic novel is dead. So. In a world like this it is good to know where you are. In an era when you wake at dawn in a state of terror that you have not yet been told the news, it can be disheartening to come across a novel heedless of its bearing at the end, as though being rudderless could be shrugged off: almost as though the longue durée would keep it afloat in the mind's eye. It seems hardly presumptuous or even original to note that how any tale of fantastika ends—that is, how any tale set in the real world ends—says more than once upon a time it used to about its location, its angle of adherence to a world we can no longer shut our eyes to. Nor is it any longer—if it ever was—an escape from prison to read a book that does not know how to end. A bad or indifferent ending feels nowadays more than ever like an abandonment. Maybe we fear that the campfire has been doused. Maybe it is no country for old men. But it is human nature to benefit from aesthetic closure, even if the news is bad. This is not to say that authors must necessarily address the world as a set of themes to be confronted, though the best novels of a writer like Kim Stanley Robinson do exactly that; but that they must somehow be seen as shipshape. There is a word I like. Propugnaculum. It is defined as a bulwark, a protective rampart. It sounds like what it means. It's what Dr Lazarus should be shouting at the climax of Galaxy Quest. A book should be a propugnaculum against surrender. A novel that does not shape its end—as Maria Dahvana Headley's The Mere Wife (2018), which begins so well, seems not to—may not be a book we can turn to for remembrance when the day turns on us. 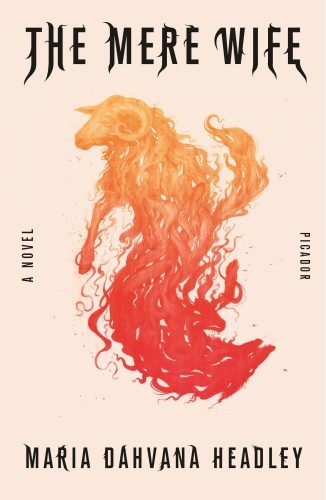 The Mere Wife is a twice-told tale which recasts Beowulf into the near twenty-first century, with the original figures of the saga transfigured, and the original story foreshortened. Like the original—though more than one voice is involved, and there is no real sense of a ceremonial campfire (or pyre) warming the tellers and their implied auditors—it is told. But by the end the campfire has been doused: though it may be hard to figure what Headley means to tell us in her final pages. More on this below. The beginning pages of The Mere Wife constitute a proper and energetic front-loading of Headley's strengths: an intensely mood-sensitive diction, a tight and urgent marriage of every word into narrative passages so fluent and dire that the reader can readily immerse, and inhabit readily the main narrative voice, that of a female ex-soldier named Dana Mills, a typological reconfiguration of Grendel's mother who has been mutilated and raped in what feels like Afghanistan but could be elsewhere, and who has returned home, where (like most vets) she is seen as monstrous. Headley also has a fine, nuanced grasp of how to describe the archaic landscape of what feels to me very much like New England, though I believe no place is actually specified. The quasi-underground mere, where Dana gives birth to her son Gren, is adjacent to the now-destroyed village of her own birth, and haunts the mind; as does the abandoned railroad station, also buried underground and forgotten. This sense of the archaeological Middest of semi-rural New England seems entirely accurate, and we settle ourselves into place. This is good. As it becomes necessary to ground the play between New England and the world and story told in Beowulf, the plot now thickens. The working village originally served by the subterranean railroad has now been replaced by an exurban Stepford Wives utopia named Herot Hall, a paradise that evokes the Dream of Robert Moses (Headley does not explicitly unpack any story behind the decades-earlier abandonment of the railroad, but she seems to intend that the buried tracks, complete with long-unused semi-derelict locomotive and coaches, tacitly represent the kind of loss the railroad-hating Moses inflicted upon the regions under his sway, in order to keep them safe from the hordes of lower America). At this point, the ghost stigmata of the Moses Era do not more than give historical saddle to the portrait of the diseased bluestocking tyranny that keeps Herot Hall utterly cleansed. As far as the Updikish inhabitants of Herot Hall are concerned, once they suspect the existence of Dana and Gren, they transform them into Mysterious Strangers, and their eventual (though adventitious) assault upon the whited sepulchre above, which is an aliquot sample of the face of America, is perceived as an attempt at usurpation by migrants. So far so good, twice-told-wise, maybe, even though the world of Beowulf itself is not a geographical monolith like Dream America but a deeply insecure jostling of territories: islands inhabited by Danes, home of the original Heorot; the land of the Geats, where Beowulf comes from, and where he returns after killing the two “monsters” of the original epic, Grendel and then his mother, and which he rules for fifty years, before his final battle with a dragon, during which he dies, a death which threatens to destabilize the entire hornet's nest of conflicting peoples; and the compact empire of the Swedes, which we never see, but whose dread imminence is manifestly adumbrated by the skald who invisibly narrates, meaning every word he says or sings or indites (consensus as to the ratio of oral composition to written text in Beowulf, or the exact date of initial composition, or the achievement of its final form, is unlikely ever to be reached; it might be noted, though, that J R R Tolkien's argument in his 1935 pamphlet Beowulf: The Monsters and the Critics that the poem is a work of great and deliberate art, militates against a sense that it can be taken as spatchcocked from various oddments of story. Beowulf does not digress; as with The Adventures of Huckleberry Finn, its author is smarter than we are). Hwaet. The second primary narrative speaker in The Mere Wife is Willa [Waeltheow] Herot, scion of the family which had constructed Herot Hall as an edificial brand designed to cauterize into oblivion the pre-owned slums of New England; she bulks much much larger here than does Hrothgar's wife in the original. She is not very likeable, and Headley has no real patience for her, but she soon makes it clear that Herot Hall, which never much resembled the original Heorot, is not Stepford either: that it is in fact a matriarchy, run by a passel of norns who collectively represent yet another narrative voice. The fourth narratorial voice in The Mere Wife, almost certainly one too many, is a pantheistic murmuration from under the stone and inside the lake, which though it may seem to echo the eighth-century world, seems gradually to have lost Headley's interest; and never really gets onstage. This mild plethora of skalds is a clear swerve from Beowulf. Oh, oh. Beowulf himself is played by a police officer from a neighbouring town named Ben Woolf (I took the l to be silent), summoned to Herot Hall after Willa Herot thinks she has detected a ghost, or a monster, who is haunting her young son Dylan. She is almost right. In the terminal lovedeath shenanigans that wipe the slate clean at a point where (I believe) Headley retains only diminished control of and interest in her tale, we learn that the now-teenaged Gren and Dylan have been in love with one another from childhood, and may have eventually consummated their love. But listen! In the meantime, there is more to tell. After the death of her husband, and after Ben has failed to exterminate the monster(s), Willa and Woof, now chief cop of the region, set up house together (he is in fact the only successful intruder in The Mere Wife), and have twins, who are not very bright, whose relationship rings no chthonic bells, and who soon die. Fifteen years pass; out in the world, we are now in the very near future. Willa uses her money to renovate the underground station and the train, with the intention of opening a service downstate. As we are supposed to deprecate her NIMBY attitude toward outsiders who might defile her utopia, it seems a tad odd to see her backing this sort of renewal of traditional, ecologically sound modes of transport (Headley shows no interest in this clear discord: this is not really a novel set in a climate-change world). Dana, who has been further mutilated in her attempts to protect Gren, has magically survived as well, but does not do much (the loss of the urgent narrative presentness of her voice is regrettable). The climax arrives for the sizeable cast, most of whom are still alive at this late point, sans the Beowulf dragon (unless the huffing and puffing of Willa's renovated locomotive is meant to work as a clownish stand-in). Woof continues to wrestle with his sweaty Sean Bean cowardice (Headley's reading of him as an unreliable narrator and bully, perhaps because the ceremonial boasts he makes at the heart of the poem sound inauthentic to her twenty-first-century ear, allow her to make some cutting remarks that seem less than devastating.) The lovedeath (see above) has its aria. Woof perishes, as do the norns, and some redshirts, a great train wreck. So does Dana, though she may be that voice we hear at the very end, transfigured into something like a fossil tree fathoms deep in chthonic ambages beneath the world. But by this point—a point where Dana's previous intertwining eloquence has begun to blow air, though she remains eloquent long after Headley had effectively de-storied her by keeping her alive—whatever interactive resonance there is between Beowulf and The Mere Wife has been dampened to inaudibility. Therefore. Just as that half century of civil life in Geat was pure Middest in something like what I take to be Kermode's sense, the ending in a state of dread is powerfully drawn by the Beowulf poet in terms consistent with the Sense of Ending that Kermode suggested, an ending which inhabits the knives-drawn archipelago world as its creator conceived it. There may have been no cultural diktat that Headley has spurned by compacting that original expansiveness, by compressing the temporal reach of her narrative from five decades down to fifteen years, and by declining to give either Gren or his unfailingly eloquent but increasingly tortured mother a quick quietus, where the old story begins; it is not a sin for her to use her twice-told as incipit, which she does quite brilliantly, though ignoring its consequence. But the reader is left swinging in the wind. Sjón's CoDex 1962 (2016) disappoints more deeply because it means to do so. Sjón is an overwhelmingly self-conscious writer, and exceedingly ambitious. 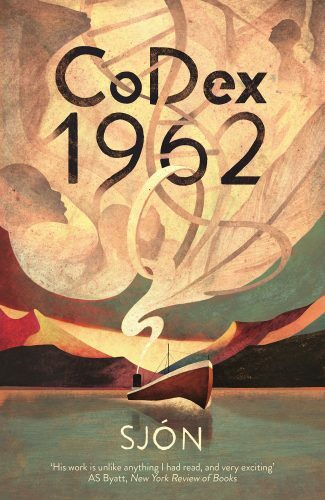 CoDex 1962 is a single novel told in three parts, the first two of which were separately published as short(ish) novels, Thine Eyes Did See My Substance in 1994, and Iceland's Thousand Years in 2001; which means he could not have been emulating Roberto Bolaño's 2666 (2004), though his final section, I'm a Sleeping Door, with its lists and its panoplies of seeing and the impossibility of its ever ending till Sjón himself dies, does evoke Bolaño's unfinishable eye-in-the-sky scrutiny of the humans who do the human condition without cease. As with The Mere Wife, pretty well every word of CoDex 1962 is told. It is not for hundreds of pages that we learn who the teller is, a child born with genetic defects in 1962, part of the CoDex 1962 cohort, which comprises the children born in Iceland during that year—the evocation of Salman Rushdie's myth-of-origin epic Midnight's Children (1980) is clearly meant to be clocked—and is designed to trace the genetic shape and consequences of their lives into the present. Each part of Codex elaborately unpacks a whopper about his chthonic birth and upraising. In part one, he is a clay figurine constructed by Leo Loewe from Prague; in part two this golem is brought to birth in 1962; in part three he confesses, though in retrospect, as most of part three is also told, Tristram Shandy like, before he is born or when he is absent. More than once, Sjón suggests that this whole shaggy dog story is a body English of how Icelanders talk about themselves; and that Loewe's story is the story of Iceland today. That Iceland is immured in the ambages of story: but that a good story can be extracted from all this intramural botheration. That story is told here, though at some cost to the reader's patience, because most readers will have become deeply accustomed to how this Icelander talks before he is finished introducing himself. There is in the end no element of the fantastic in the tale. Loewe himself is the Middest of his tale, a crazy quilt which may suffice most readers. But may leave them feeling spoofed: stuck in Middest without a paddle.